Zinc kitchen sinks are an excellent alternative to nickel-plated copper. 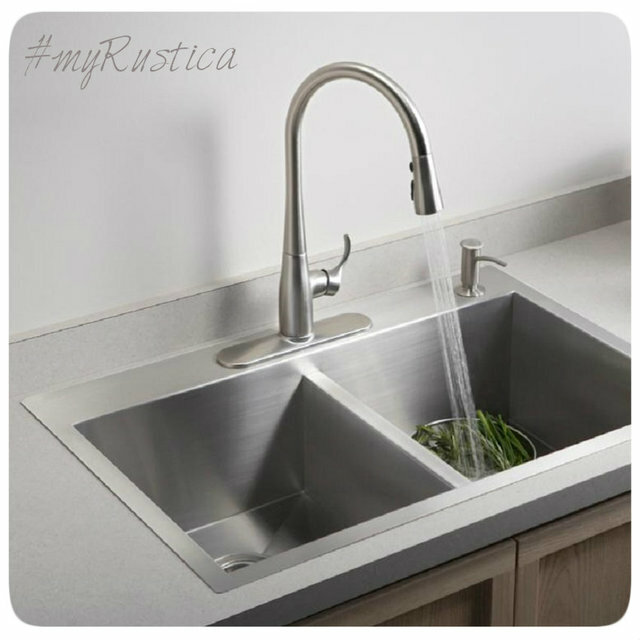 Rustica House zinc kitchen sink is cheap it cost about half of the other metal version. It is little know that the kitchen sinks can made out of zinc however, even though they are supplied with smooth or hammered finishing. Most sinks have typical for zinc metallic look. Both types are for sale in drop-in and undermount style including apron front. A brand new zinc kitchen sink is durable while at the same time incorporates rustic character. One, two and tree compartment sinks are available in all standard and made to order sizes. It is a best budget choice for a rustic, antique, traditional and hacienda kitchen.